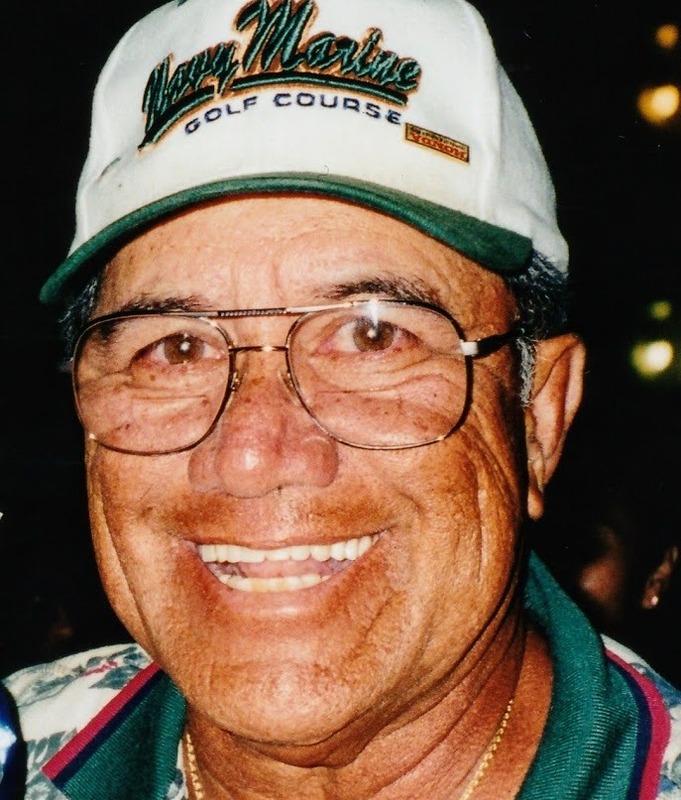 Surrounded by his family, Taylor "Buddy" Kaaina, age 82, passed away peacefully on January 17, 2018 at his home in Kaneohe. Taylor was a graduate of Farrington High School, class of 1954. He retired as a Firefighter with the Honolulu Fire Department in 1990. He worked at Pearl Country Club for over 30 years as a Golf Marshall and coordinated many volunteers for the Pearl Open tournaments. He also worked at Navy Marine Golf Course and for a time was a tour bus driver sharing his aloha with visitors to our island. His love to teach reflected in his volunteer work in the early 80's with the Castle High Boys Varsity Basketball team as an assistant coach. He also enjoyed giving many golfers lessons to improve their game. He was an avid golfer with a low handicap and won many golf tournaments but his truest enjoyment of golf was spending time with his friends. He loved to travel to Vegas every September to attend the Hi-Cal Golf Tournament. Although in later years he was unable to golf, he still went to be with his friends. He will be lovingly remembered by his devoted wife of 34 years Jean; sons Taylor Masao Kaaina (Cathy), Kenneth Kazu Kaaina (Alison), Lance Kaaina (Dawn), Jason Kaaina, Stuart Nishimoto (Ginger), Ladd Nishimoto, Sean Damitio (Tracy); daughters Taylene Kaaina, Jan Aina, Dawna Nishimoto-Agao, Jan Sanchez (Robert); 21 grandchildren and 16 great-grandchildren. He is predeceased by his mother Emily Ke-a Kaaina, father Solomon "Sonny" Kaaina, sisters Peola "Sister" Ching, Janice Kaaina, Josephine "Sweetheart" Ke-a. His Celebration of Life will be held on Saturday, March 10 at Hawaiian Memorial Park in Kaneohe. Visitation begins at 5:00 pm with services at 6:30 pm. A private inurnment will be held later.